275W x 8 = 2.2 kWp system? Possible. Perhaps more for decoration and special purpose, rather than a full pledged vehicle for the future. 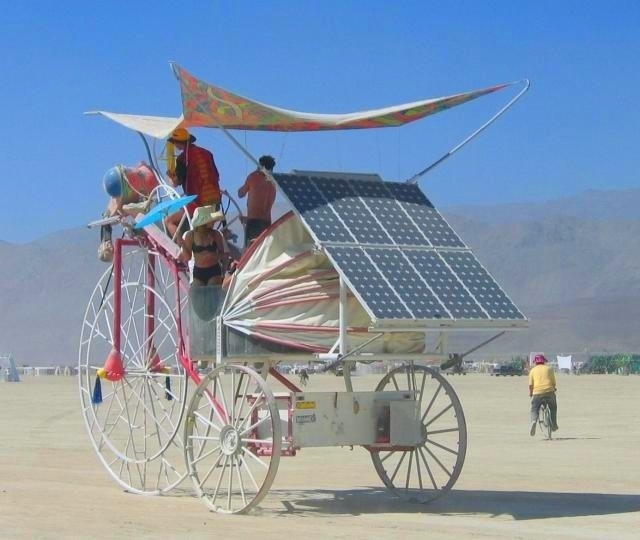 According to The US Solar Institute, this was taken in Black Rock City, circa 2004. Actually these panels should be incorporated to the roof of hybrid vehicles. @tehr - tayar tak perlu agaknya, bro. Kenderaan khas utk gurun, pasir/tanah rata, dsb.